Innovation is constantly the driving force behind new technology and platforms in the forex space. This includes UTIP company, which has rolled out plans for UTIP forex platform and plans for brokers. This process stems back to 2018, which saw UTIP as recently as December 2018, manage to connect its two-hundredth broker to the platform. Since then, UTIP is working on continuing this demand for its platform technology, via a range of benefits that brokers have been receptive to over the past year. One area of emphasis in UTIP’s new trading platform is its consideration to workflow. Consequently, the platform represents a highly advanced software system for organizing brokerage services on the financial markets. It is compatible with the leading services demands from brokers, including FX, binary options, and cryptocurrencies. Moreover, UTIP also is relying on a duality of services and apps such as back-office and front-end capabilities, which in tandem help smooth out the overall workflow. This is crucial to the success and efficiency for users in terms of UTIP’s platform functionality. 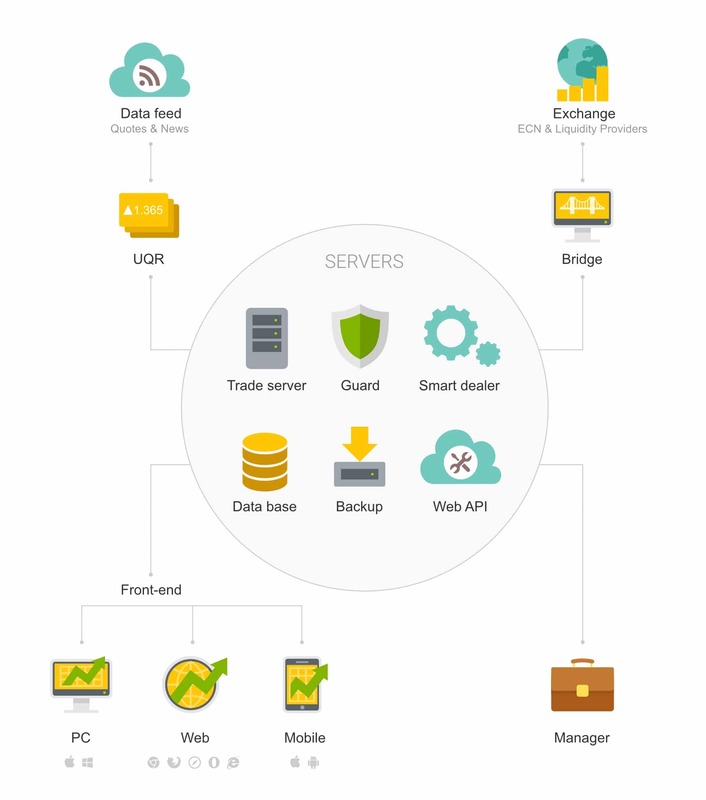 In particular, back-office includes trading server, Manager terminal, data feeds, and a bridge for positions output on the external market. By extension, front-end is traders’ terminal, which is intended for trading on FX market. Trading server – is a central app for UTIP trading platform, which is different for its stability and multi-functionality. It manages the accounts online and offline by maintaining dozens of processes at the same time. UTIP also perform regular backups, and guarantees data security in the system. UQR services are also responsible for quotes relevancy. It allows users to get the data on currencies, metals, shares, oil and cryptocurrencies quotes (from HitBtc and Bitfinex exchanges). Inside mechanism of UTIP Server are filtering non-market quotes (pins), which helps smooth the data. As a consequence, traders are protected from system failures while opening positions. For setting up the platform and managing client accounts, employees of the brokerage company can utilize the Manager Terminal. Here, they can view traders’ reports, trade for traders, change the scheme from A-booking to B-booking and back in one click, while also view the action log and much more. To increase traders’ loyalty, there is also an option to charge bonuses. Broker programmers can use UTIP WebAPI functions. 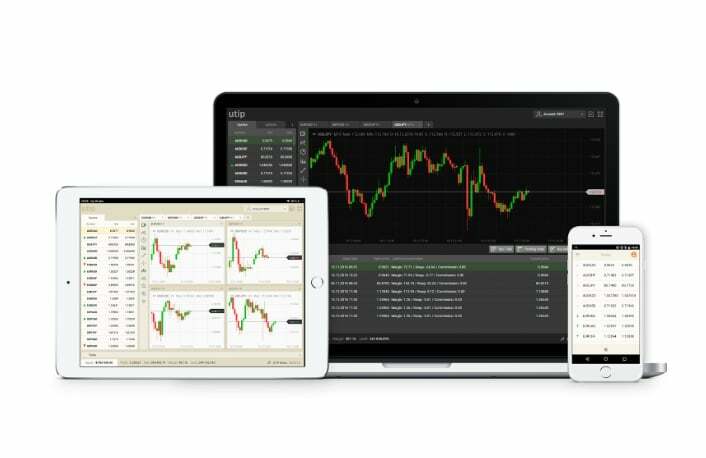 With their help, brokers can add services for traders: this includes useful tools such as an economic calendar, dynamic charts, quotes flow, referral programs, etc. Also, using WebAPI, an FX company can add its logo to the trader’s terminal and arrange it in company colors, thereby increasing its visibility and popularity. Mac Trader – is being installed on devices, based Mac OS. In trader’s terminal, traders can trade with forex instruments and cryptocurrency in one bank account. For every direction two types of orders are available: classic, delayed and binary options. Convenient interface, modern design, account refill and many other features making work with the app easier. Traders’ terminals UTIP are letting to conduct full technical analysis. Popular indicators, range of timeframes from 1 minute up to 1 year, elements of drawing on the chart are available for trader (lines, canals, icons). Due to the newest security systems, encryption and hashing which are used in the terminal, trader’s data is fully secured. Setup is taking 24 hours, with transition from White Label it takes approximately 48 hours. UTIP platform provider is not taking commission from the broker’s profit and not tracking any deals. Additional information regarding UTIP’s new Trading Platform can be accessed via the following link.